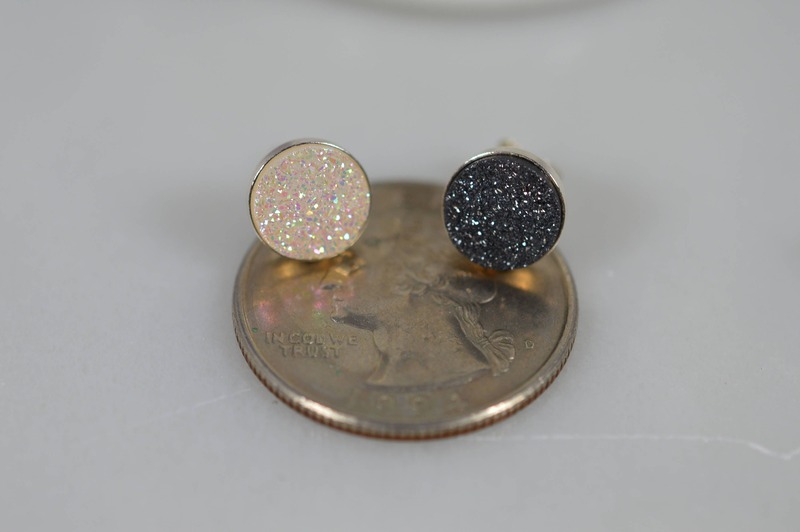 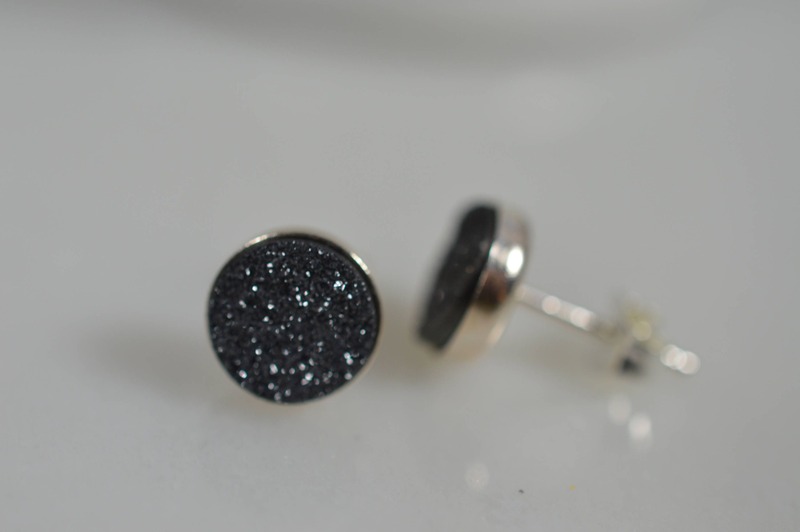 These sparkly little druzy studs will be your new go to earrings! 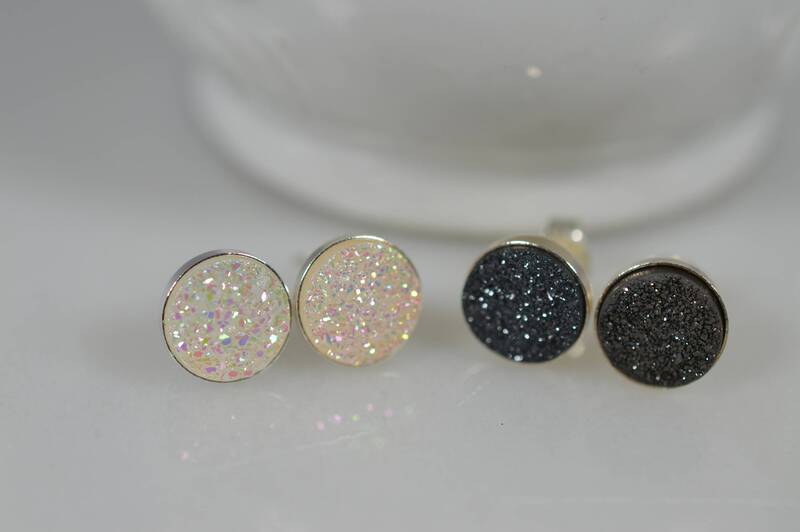 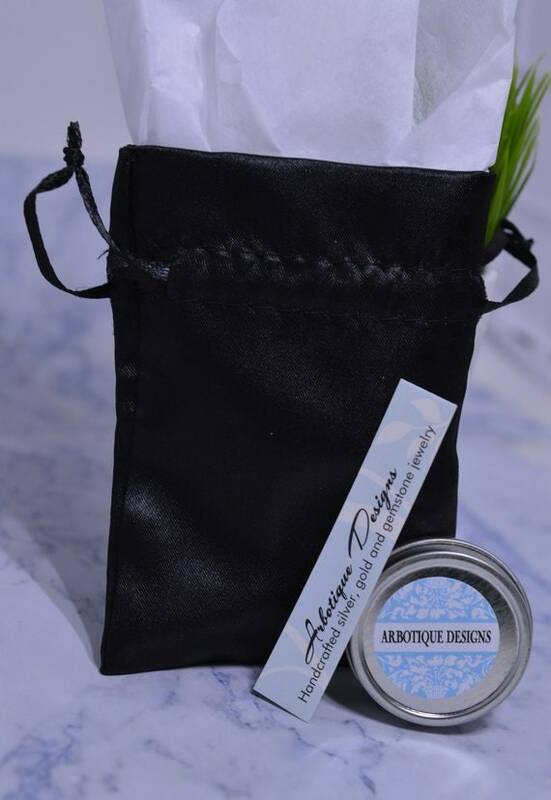 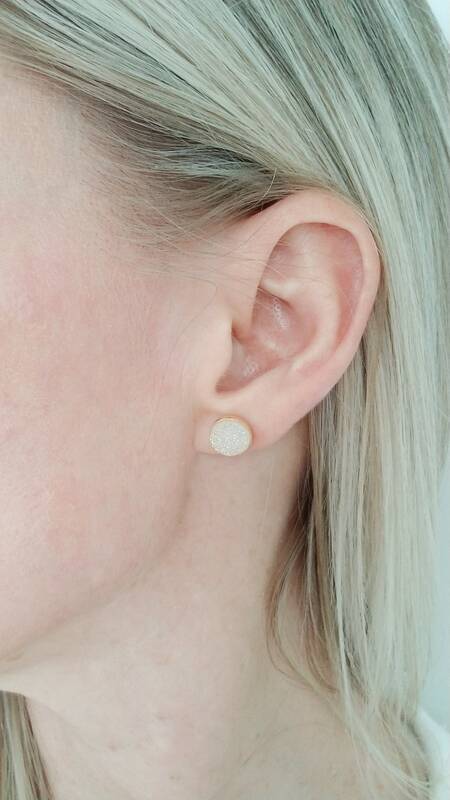 Genuine druzy studs are set in sterling silver and finished with a sterling silver post and ear nut.They are simple and elegant enough to wear every day while the tiny points catch and scatter the light making them eye catching enough for a night out. 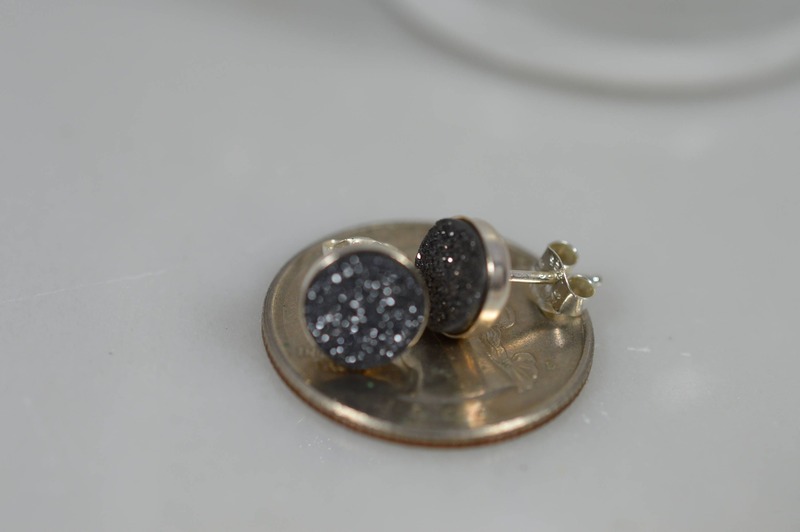 Stones are 8mm and available in white or black.